Jet Airways founder Naresh Goyal and his wife Anita Goyal on Monday resigned from the board of the airline they founded 25 years ago, clearing the way for an immediate bailout of Rs. 1,500-crore by lenders. Naresh Goyal's exit was a condition set by bankers for the rescue of the cash-strapped airline that has been struggling with grounded fleet and mounting dues to banks, suppliers, pilots and lessors. The banks, led by State Bank of India (SBI), will convert their debt into equity and take a controlling stake in the airline for a token sum of 1 rupee. Naresh Goyal will no longer be the chairman of the company, Jet Airways said. The airline also announced that the lenders would have two nominees on the board. Kevin Knight, nominee of Etihad Airways PJSC, also resigned as director from the airline's board, Jet Airways said. Jet Airways has a fleet of 119 aircraft. Of these, 54 aircraft have been grounded due to non-payment of dues, confirmed by Source. 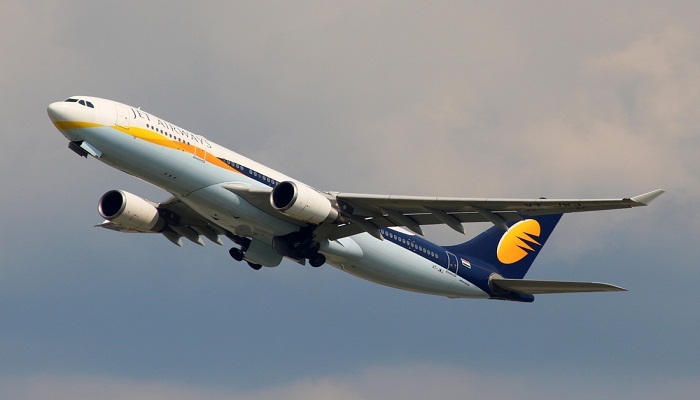 Jet Airways is not flying another 24 planes because of non-maintenance, they added. Which means around two-thirds of the fleet of what was India's top private airline is grounded for various reasons. Aviation regulator DGCA or Directorate General of Civil Aviation had last week said that only 41 of the airline's aircraft were operational. Saddled with more than $1 billion of debt, Jet has struggled to stay afloat. Several lessors have started terminating leases with the carrier.